The Electoral Commission says it is not yet satisfied the multi-million pound secret loans to political parties were within the laws on funding. The commission wrote last week to the parties asking them to confirm all loans were on commercial terms. Such loans do not have to be declared under funding rules, but donations do. Meanwhile, Chai Patel, who lent Labour £1.5m, has withdrawn his name from Tony Blair's list of nominees for a peerage amid the "cash for titles" row. The millionaire businessman said that at no time did he have any expectation of a reward nor had he been offered anything in return. But his nomination to become a Labour peer was blocked by the House of Lords Appointments Commission. Three other millionaires who lent the Labour party money and who were nominated for peerages - Sir David Garrard, Gulam Noon and Barry Townsley - have already withdrawn their names from the list. They were among 12 businessmen who secretly loaned the Labour party almost £14m in the run-up to the general election. The Electoral Commission said replies from political parties have failed to satisfy its concerns and it is now asking for some supporting evidence to be provided. Labour and the Conservatives have said all undeclared loans in last year's general election campaign complied with the rules covering party funding. The commission's chief executive, Peter Wardle, told BBC Radio 4's PM programme: "What we're saying in relation to all the parties is we want to understand a bit more, because we've got a regulatory role as far as party funding is concerned. "We're acting in the interests of the voter. We know that there are still concerns in the mind of the voter about the terms on which these loans were given and why the parties didn't feel they had to declare them at the time." The commission says doubts over whether the loans were really on commercial terms were raised by reports quoting both lenders and party representatives. It says it will ask for "an explanation of their rationale for concluding that loans were made on commercial terms and asking them to provide supporting evidence for their decision". BBC political editor Nick Robinson said the commission was "baring its teeth, for the very first time, saying to political parties 'We are not going to take you at your word'". It has legal powers to require parties to provide "relevant documents, records and other information about their income and expenditure". The commission's statement says: "If necessary, we would be prepared to exercise these powers to obtain the information we require to judge whether a political party has fully complied with the law." It believes parties should declare details of all the loans they receive from now on, which all the main parties have pledged to do. The statement adds: "This would demonstrate to voters that the parties have nothing to hide... however, public confidence in the democratic process has been damaged by recent revelations and real questions remain about loans received to date." 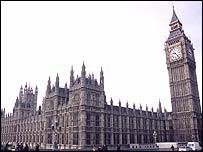 The Metropolitan Police is investigating complaints from the SNP that the law on selling peerages had been broken. It says the inquiry could widen into a corruption probe. All the political parties and the people who have lent or donated money have denied any favours were given for the loans.